Over the years I’ve become a bit of an IGF fan, doing my best to ensure it gets as much coverage as possible. 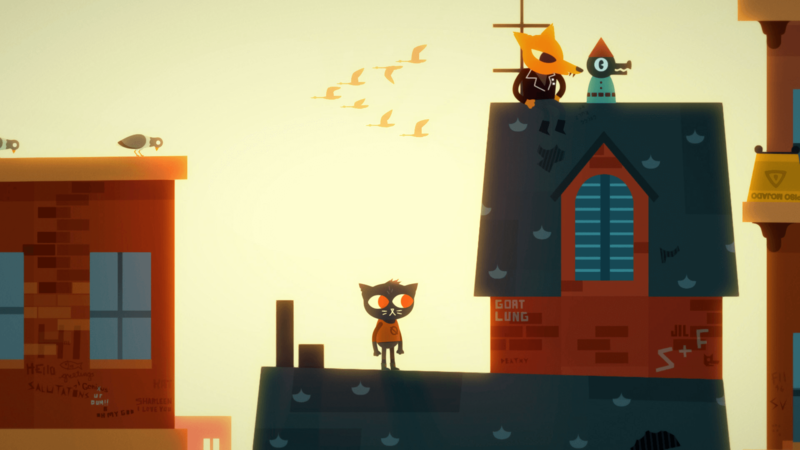 But… my affection for all things IGF likely pale compared to that of Infinite Fall, Night in the Woods’ creator, seeing how they went home with a fair amount of prize money at the awards last night. Other games also saw plenty of financial glory – and exposure – courtesy of awards across several categories. While I doubt anyone’s surprised to see Getting Over It with Bennett Foddy pick up the Nuovo Award (originally Innovation Award) or Celeste‘s acquisition of the Audience Award, Night in the Woods walk away with up several awards… now that’s a welcome surprise (to me, at least). Best of all, one of the two that the stylish narrative-driven platformer grabbed is the $30,000 Seumas McNally Grand Prize, enabling them to keep the lights on for a good bit. It was up against the likes of West of Loathing and Into the Breach too, which definitely made for some stiff competition; but alas, there can be only one, and for IGF 2018 it was Night in the Woods!